Tooth loss is a celebrated event during childhood, but losing teeth as an adult can be devastating. Not only will you suffer the cosmetic embarrassment of a gapped smile, but you will also develop numerous problems with your oral health if you do not replace the missing teeth. Biting and chewing food will become more difficult, and your remaining teeth will start to shift out of place because tooth loss creates extra room for them to do so. Your bone health will also suffer because tooth roots provide stimulation to the jawbone to keep it dense and strong. Once the body stops sending nutrients to the area of the jawbone where a tooth is missing, the bone will deteriorate and give your face an aged, sunken appearance. Fortunately, dental implants can prevent all of these issues. Single Tooth: In this simple procedure, a single implant is placed at the site of a lost tooth and is affixed with a porcelain crown. Implant Bridge: A traditional bridge is attached by placing crowns on the healthy teeth on either side of the empty tooth sockets, but an implant bridge uses two or more titanium implants to anchor the restoration in place. Implant Dentures: In cases where several or all teeth are missing, a few strategically-placed titanium implants can hold a full or partial denture in place. 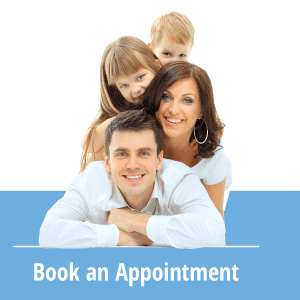 In general, most people who are healthy enough to undergo a dental procedure such as a filling placement or root canal therapy are good candidates for dental implants. You must have healthy teeth and gums, so any cavities or signs of periodontal disease must be addressed first. Tell your dentist if you have any chronic health conditions or are taking medications. These factors will not necessarily prevent you from receiving implants, but your dentist may need to take certain precautions during the procedure to ensure its success. You also need to have a sufficient amount of dense bone tissue to support an implant. However, if you have suffered bone loss, which is common after tooth loss, a bone grafting procedure can help rebuild the tissues. Implant Placement: This part of the process usually only requires local anesthesia, but your dentist can administer something a bit stronger if you feel anxious. Once you are comfortable, your dentist will create an opening in the gum tissues at the site of the missing tooth and then insert the small titanium rod into the jawbone. Your dentist will then close the gum tissues with a few sutures. The gums will heal in about a week, but you must wait several months for osseointegration of the implant to take place. You may be fitted with a temporary tooth restoration to wear while you are waiting. Placing Restorations: When your implants are ready for permanent restorations, your dentist will take impressions of your mouth to create replacement teeth that blend well with your natural teeth. You will then return to have your restorations permanently affixed to your implant abutments. While other tooth replacement methods are still in use today, dental implants are the gold standard for a reason. Dentures are designed to stay in place with suction or by attaching to your remaining teeth with clasps. While they may fit perfectly when you first receive them, the natural bone loss that occurs with missing teeth can make them lose their fit over time, causing patients to experience embarrassing slippage on a regular basis. Bridges are another common tooth replacement option, but they require the reduction of healthy tooth structure for crown placement. Implants do not pose any of these issues. Because your new restorations are permanently anchored into your mouth, you can enjoy speaking and eating without worrying about your teeth slipping out of place. In addition to helping you maintain the healthy structure of your remaining teeth, they look and feel just like your natural teeth and stimulate your jawbone to help preserve a youthful facial appearance.